A hundred miles an hour in the wrong direction …. And she gives herself away…..
Every single time I hear those lyrics my heart aches, a punch in the gut, my head falls to my chest. It is all to familiar. At a luncheon last week, someone asked what advice would I give to my 16 year old self, if I could. Since I was already pregnant at 16…my first thought was to SCREAM: DON’T DO IT!!! However, while my choice certainly altered my path, the sum of my life is much bigger than that one moment. When I stand on a cliff, look down and flip back through my days, a theme jumps out of the monotony. Hindsight is always 20/20. . 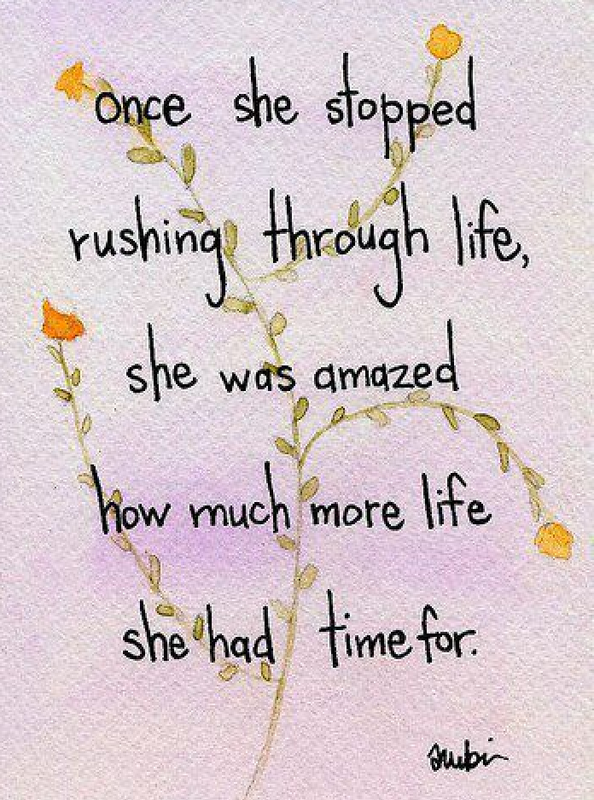 Rush, rush, rush….always in a hurry … to grow up, to hit the next mile stone…to get married…to buy a house.. to get to the next big thing…..
Now that I am in the last year of my 30’s I realize how silly that appears. WHAT was/is my hurry? Never satisfied I jumped from one thing to the next, thinking that would bring the satisfaction I hoped for. As a recovering perfectionist, I now know that never allowed myself to savor any accomplishment….Almost instantaneously, my thoughts would turn on me… I could have always done it better, smarter, faster…the list never ends and it was on constant replay. I was my own worst enemy. Smiling on the outside, waging war on the inside. So what would I tell my sixteen year old self? To slow the hell down. There is plenty of time for you, dear girl. Your focus should be to get it right instead of just getting it done. Enjoy where you are. Keep the negativity at bay and the rest will fall into place. It is easier than it seems. Life doesn’t have to be so hard for it to be right. Thankfully, one of the benefits of gray hair and fine lines is that it also comes with wisdom. This discernment is not lost on me. I am abundantly thankful to be able to reflect and review, possessing the ability and desire to refine. Conscious that my time on this planet is more limited than before, it is my hope that my next thirty-nine years will be slower, more intentional. Don’t get me wrong. I honestly don’t have regrets. I truly love my life. Even in the chaos, I quite like who I am, realizing it is culmination of all of my experiences. I only plan to use what I’ve learned to create the best possible, most fulfilling, future. To make the most of ALL my days. I sincerely enjoy the process.